Last year I was contacted by Libby McInerny, who was working on a film project she thought was ripe for screening at public libraries. She had heard about The September Project, and was interested in learning more about how we operate and more importantly, how the project started. The more we chatted and shared, the more I wanted to support this important project. As expected, librarians and the local library play a big part in this story. Librarians and the Patchogue-Medford Library emerge as important community resources before and after the tragedy. Not surprisingly, the project organizers are promoting this film to public libraries and others as an opportunity to spark conversations around issues that matter in our communities. 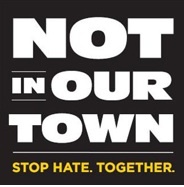 Schedule a screening and discussion of Not In Our Town: Light in the Darkness at your library during Not In Our Town Week of Action. Encourage community partners to host screening events at your library in September and beyond. Promote and participate in a “One Community/Once Book” Club. Email your ideas, stories, and event announcements. They will be added to the project website, and your library might be featured in a future Not In Our Town video story. Over the years, many libraries have organized film screenings and discussions for September Project events, and I encourage you to consider using this film as a thought-provoking activity to spark conversations in your community this Fall. The film is free, and you can learn more about the project at their project web site, http://www.niot.org. The UT Tyler Robert R. Muntz Library is announcing the following events in observance of the International September Project. This is our third year participating in the September Project. Since 2004, libraries around the world have organized events about freedom and issues that matter to their communities during the month of September. This grassroots project favors free over fee, public over private, and voices over silence. In addition, September is also the month for Constitution Week (September 17-23) and for Banned Books Week (this year it falls on September 25 to October 2). We bring those events under our umbrella of the September Project as well. The Muntz Library is hosting a Texas Humanities exhibit entitled The Bonfire of Liberties: Censorship of the Humanities. This is one of our activities for Banned Books Week as well as the September Project. The exhibit looks at the history of censorship in the field of the humanities, showing how many works we consider classics have been considered controversial at one point or another. This exhibit is made possible by a grant from the UT Tyler Friends of the Arts (FOA). And our big event: We are happy to announce that we will do a screening of the film Charlie Wilson’s War on Thursday September 30 at 7pm. This will take place in LIB-401. The film presents the story of East Texas Congressman Charlie Wilson’s covert dealings in Afghanistan, where his efforts to assist rebels in their war with the Soviets have some unforeseen and long-reaching effects (from imbd.com description). The film also gives a look at how the federal government works and how funding for things like wars is done. We are pleased to announce also that Dr. James Newsom, Senior Lecturer from the History Department, will be the guest speaker for the event. Dr. Newsom will deliver some remarks and provide some context for the film. Welcome back, Public Library Berio of Genoa! We were very pleased to hear from the Public Library Berio of Genoa (Italy) this year, which is participating in the September project for the 5th time. Welcome back! This year our commemoration is called “WAR! – Yesterday’s and today’s conflicts,” a public conference with a slide show by Livio Senigalliesi, photojournalist. From the falling of the Wall in Berlin to the civil war in former Jugoslavia, from Iraq to Kurdistan, from the genocide in Rwanda to the wars in Caucasus… the report of more than 20 years of history of the world in the career of a war photography freelance. Livio Senigalliesi, from Milan, has published wide coverages on the most important european magazines and newspapers: Corriere della Sera, Repubblica, l’Europeo, l’Espresso, Epoca, Panorama, Il Manifesto, Avanguardia, El Pais, Liberation, Facts, Die Welt, Berliner Morgenpost, Stern, Frankfurter Allgemeine, Time Magazine. Cynthia Garrick, the reference services librarian for Yakima Valley Libraries in Washington, just announced details of their September Project, “Coming Home From War.” Yakima Valley Libraries will show Alive Day Memories: Home from Iraq. In this heartbreaking documentary, three-time Emmy winner James Gandolfini interviews ten wounded soldiers who served in Iraq. The film explores the sacrifices that soldiers make in service to their country. Following the film, Maria Rivera, the readjustment counselor for Yakima Vet Center and Graciela Marroquin, the Wraparound Care Coordinator for Central Washington Comprehensive Mental Health will answer questions about the challenges soldiers face upon their return from combat. Cynthia Dutton has just notified us that Cuba Circulating Library in New York will present a talk by Public Affairs Officer Maj. Katherine Oliver, who was deployed to Afghanistan. She will discuss the people and culture of Afghanistan, with a special emphasis on issues that directly affect women. This talk will complement a book discussion on A Thousand Splendid Suns by Khaled Hosseini, bestselling author of The Kite Runner. What is so awesome about this event is how it gives people a chance to hear about what life is like in Afghanistan from an American hero who actually served there. We also applaud their efforts to discuss “women’s issues” because matters that concern women invariably concern society as a whole. 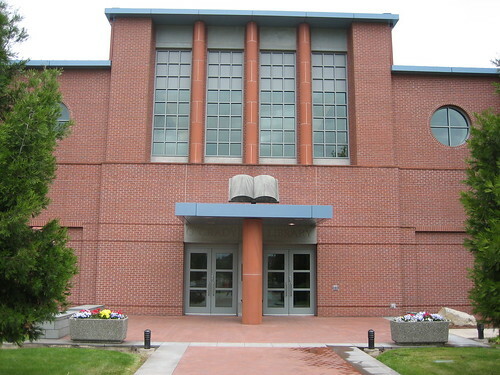 Dr. Irina Gendelman just notified us that Saint Martin’s University O’Grady Library in Washington will participate in The September Project 2009 by educating their patrons on the history and current events of Iranian culture. Set up an interactive display on Iranian culture. Faculty and students are invited to participate by sharing their classroom assignments that explore the culture(s) of Iran. These projects will be documented and shared with libraries all over the world! What we love so much about this September Project is that, in addition to being very informative and educational, it creatively utilizes technology to reach people around the globe. By digitally documenting the faculty and student projects, librarians will be able to share these great ideas with countless people. It is truly a global collaboration because participants get a chance to educate the world through their projects. Thirza Krohn, in charge of Aberdeen Timberland Library‘s Adult Services, announced that her Washington library will host storyteller Rebecca Hom who will present tales of peace, justice, and humor from the Islamic World on September 11. Their TSP event is part of their 2009 Timberland Reads Together program: Three Cups of Tea. Greg Mortenson and David Oliver Relin co-wrote the New York Times Bestseller about Mortenson’s real-life mission to spread freedom and hope to others by building schools in Pakistan. It shows how simple acts can make a great difference in people’s lives even from half a world away. Aberdeen Timberland Library will have a display of patron-recommended books and will serve tea with Pakistani snacks.